The National Audit Office has today published the findings from its investigation into the Department for International Development’s (DFID) approach to tackling fraud. 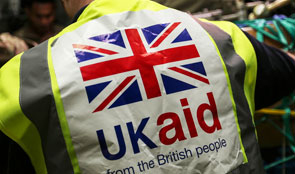 The NAO has conducted its investigation following two major changes which have altered the risk of fraud faced by DFID. The first is the government’s commitment to spend 0.7% of gross national income on international aid, which amounted to £12.133 billion in 2015. This commitment has increased DFID’s budget by 26.5% since 2011. In addition, the 2015 Strategic Defence and Security Review committed DFID to spend at least 50% of its budget in “fragile states and regions” at least until 2020. These factors could increase the risk of fraud in DFID’s budget. This investigation sets out how DFID tackles fraud across its budget, and also looks at measures put in place by the Foreign and Commonwealth Office (FCO) and the British Council. In line with the principle of conducting investigations to establish the underlying facts, the NAO do not conclude on whether DFID’s counter-fraud work is value for money. Nor do we cover DFID’s wider anti-corruption programmes or overseas expenditure incurred by other government departments, such as the Ministry of Defence. The NAO found a clear relationship between fragile states and countries also perceived as the most corrupt. Based on DFID’s fraud cases, the NAO found there were few allegations of fraud reported to DFID in some of the countries ranking among the most corrupt. In response to previous criticism by external scrutiny bodies, DFID has changed its counter-fraud strategy. It has built the consideration of fraud risk into the process that teams must follow when setting up programmes. The number of allegations of fraud reported to DFID has increased, as a result of its work to increase awareness of fraud and reporting requirements among its staff and suppliers. This is more difficult to achieve in 55% of its expenditure, which is routed through multilateral bodies, where DFID does not have direct control over all the funds it provides and relies on multilateral bodies’ systems. DFID’s central fraud team investigated 93% of the 429 fraud allegations made in 2015-16 and provided advice on the rest. DFID’s fraud caseload quadrupled between 2010-11 and 2015-16 and it received 475 new allegations during the nine months to 31 December 2016. Annual gross losses owing to fraud in 2015-16 were around 0.03% (£3.2 million) of DFID’s budget. Between 2003 and 2016, non-governmental organisations accounted for nearly 40% of reported fraud cases. Since 2003, DFID has recovered around two-thirds, by value, of the reported fraud loss. Externally, DFID provides less information than it used to in its Annual Report, although this is made available on its website. Neither the FCO nor the British Council provide more fraud information in their Annual Reports than DFID.